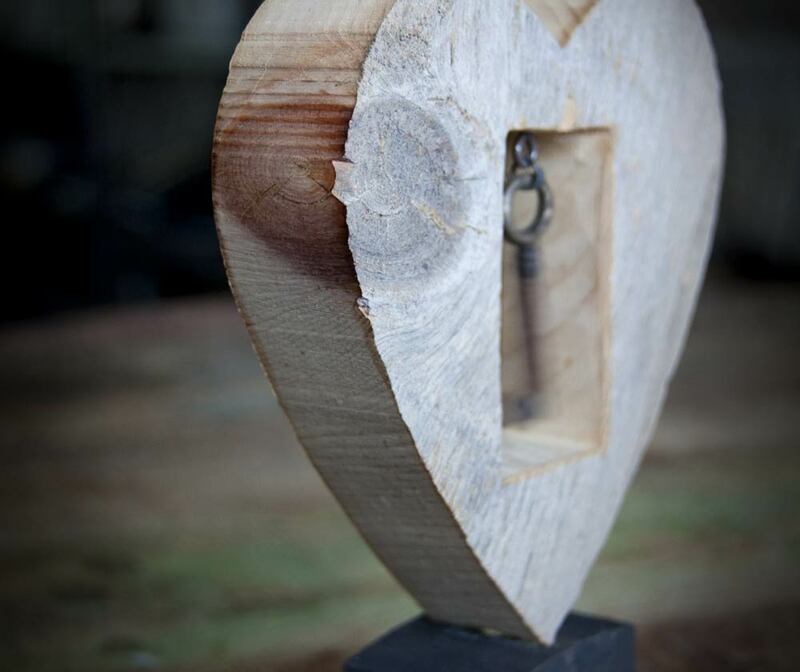 the rest of your life wishing you had..."
Hopper Road hand-crafted hearts vary from beautifully aged barnwood to highly polished masterpieces. 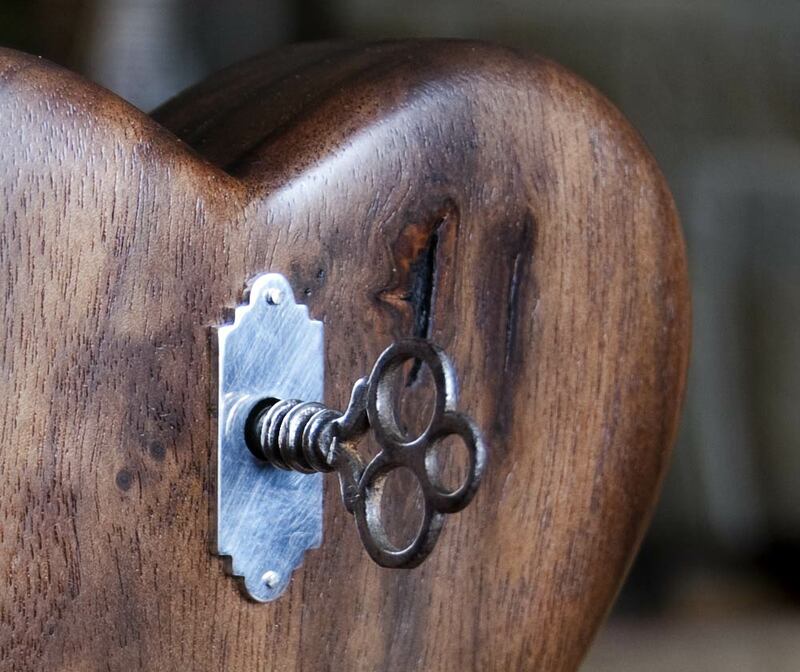 We are featuring fully-functional solid heart music boxes, with vintage custom keys. 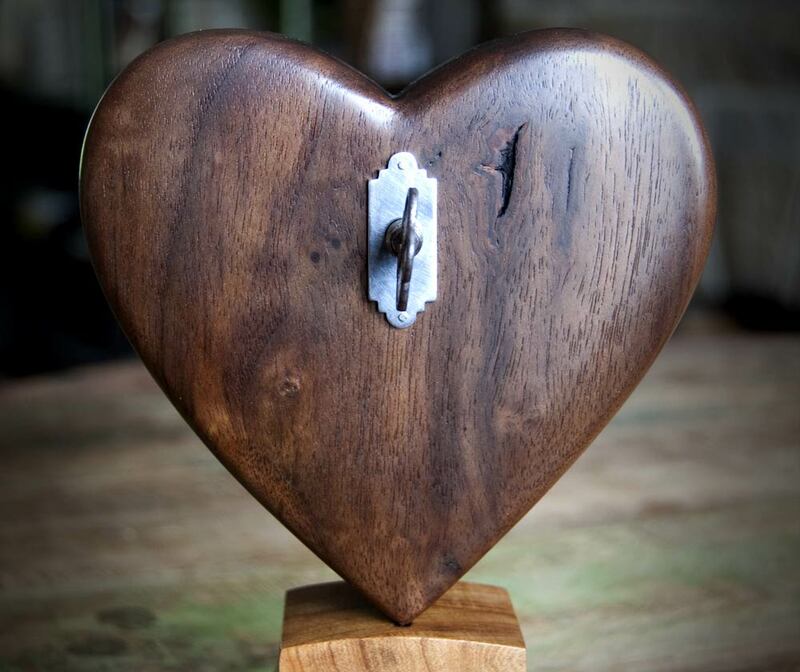 Stunning walnut standing heart, filled with the charming sounds of a fully functional wind-up music box and custom antique key. This weathered barnboard heart has gracefully aged over the years. 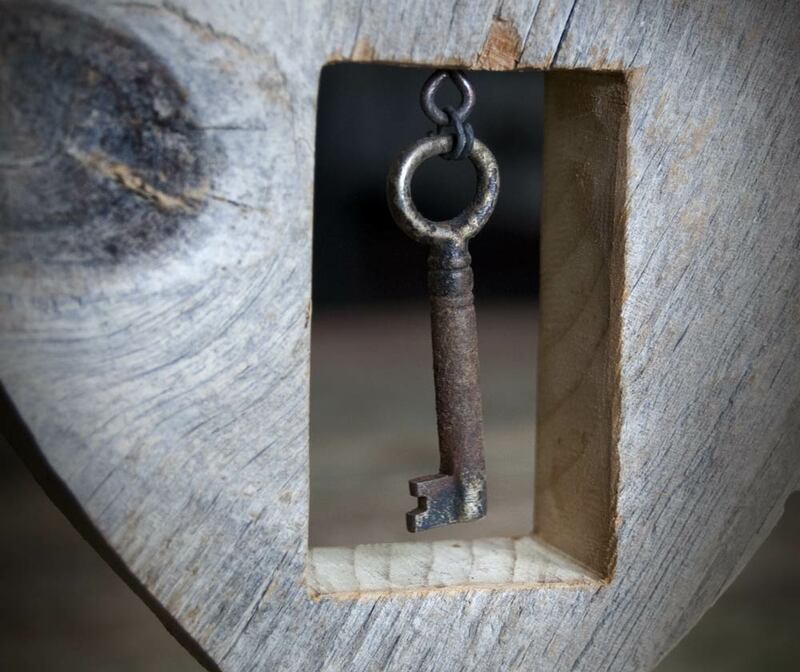 Featuring a vintage key, grasped by two nails. 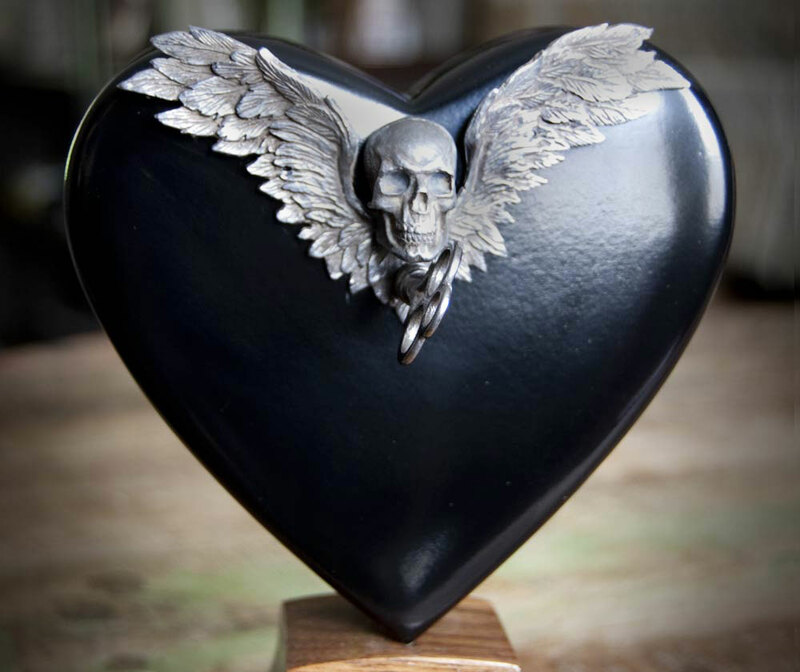 Black wooden heart, filled with the charming sounds of a fully functional music box and custom antique key. 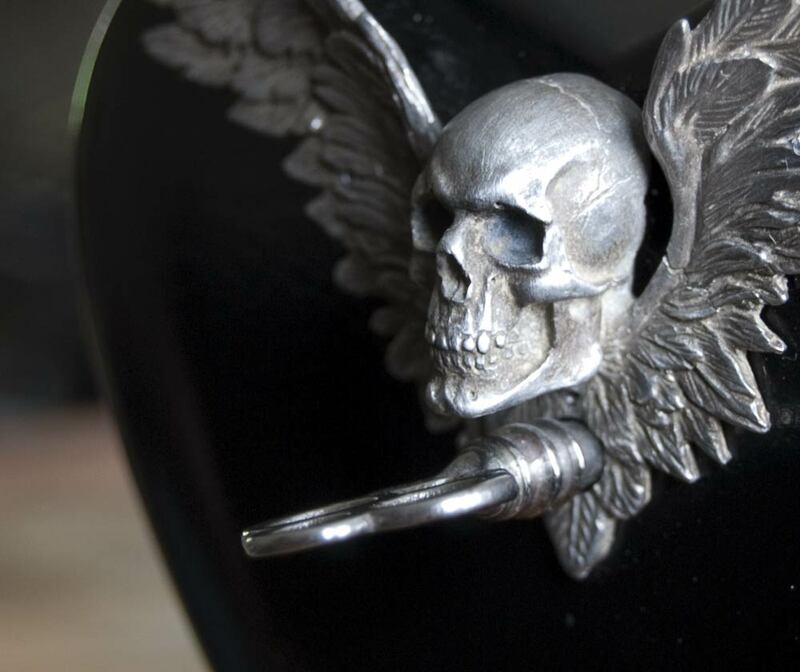 Embellished by a hand-carved & cast skull with wings. 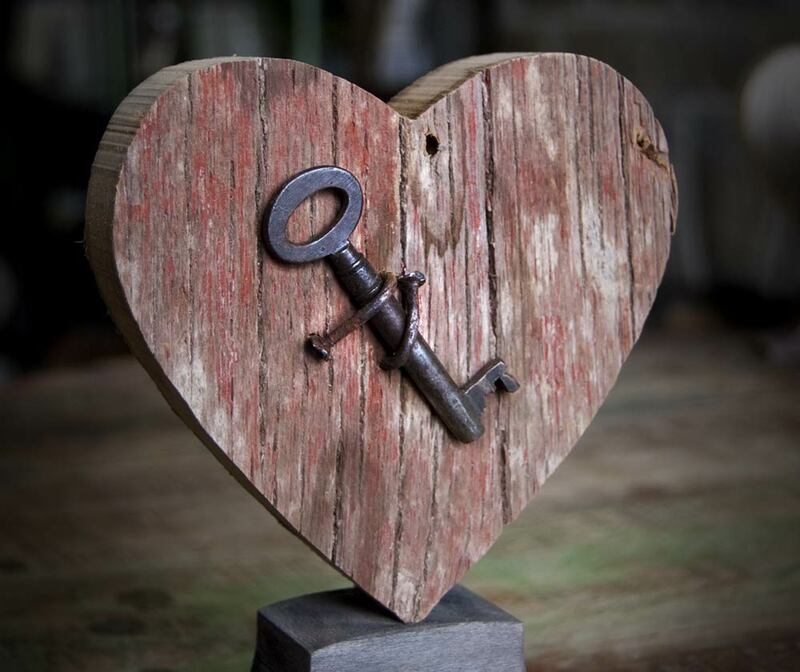 Rustic barnwood heart, perfectly antiqued by its surroundings, showcasing a dangled antique key. 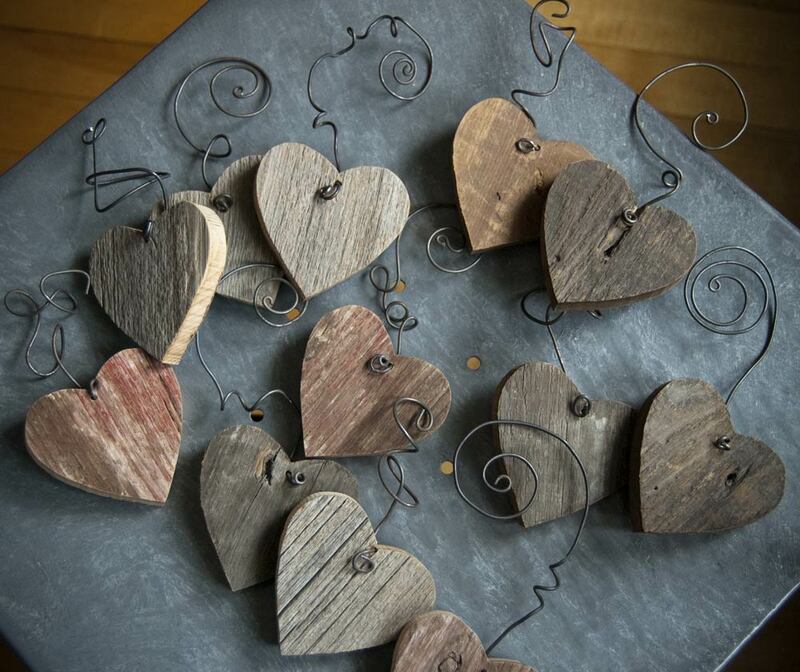 These rustic wooden hearts hang delicately by twisted wire, perfect for a seasonal decoration. 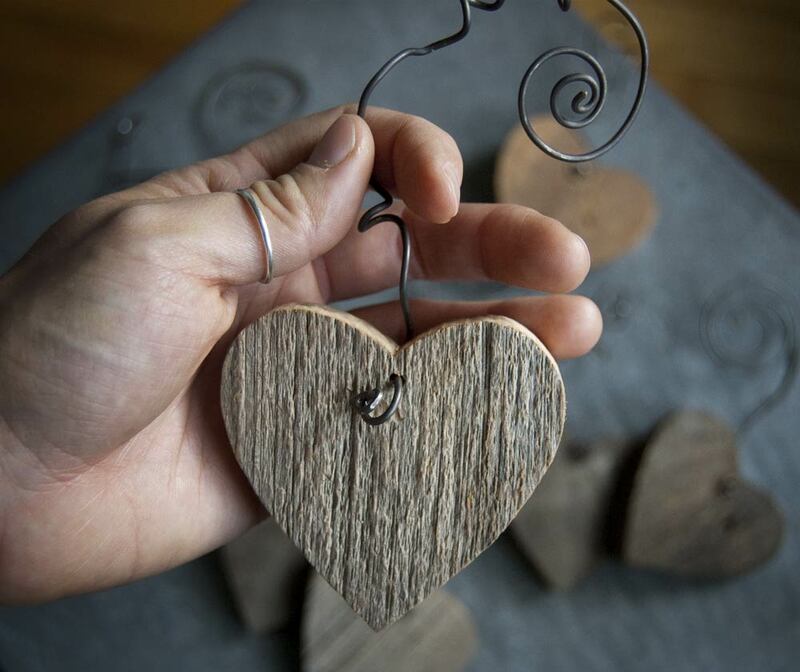 *Hearts will vary in color and texture due to natural characteristics in wood. 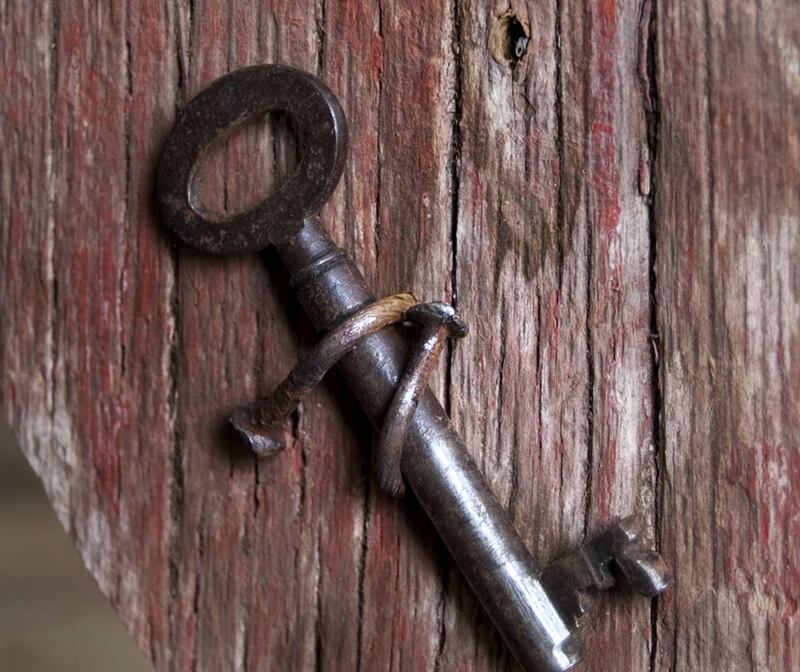 Vintage keys will also vary. Items may not be in stock and will be made to order. Custom orders welcome! Do not use photography without permission.